A delay in the development of legal systems and their implementation has been an obstacle to the stable lives of the general public and their social development in some developing countries. Legal system development support therefore provides, upon request, assistance to the self-help efforts of those countries by helping them improve their legal systems and implementation within the systems. The support aims to establish the “rule of law” and make the legal system function rightly in developing countries, thereby resulting in greater stabilization in their politics, society, and economy, and thus leading to their consistent development. Stability and development of all the developing countries that are provided with support will eventually lead to the greater safety and development of Japan, which depends on international peace and security, through greater stability and development throughout the regions the countries belong to. Support activities in this area are therefore of far more importance for Japan than merely maintaining friendly relations with the developing countries concerned. 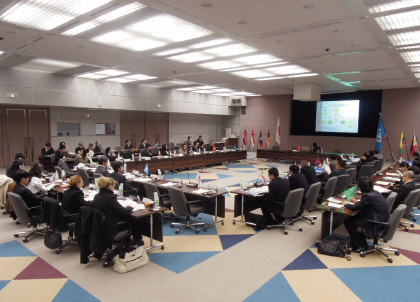 Many of the concrete support activities of Japan have been carried out within the framework of Official Development Assistance (ODA) and in cooperation with the Japan International Cooperation Agency (JICA) and other relevant persons. The Ministry of Justice established an International Cooperation Department within the Research and Training Institute to specifically take responsibility of those activities and has been actively implementing support, including the dispatch of officials and training for the relevant personnel of countries subject to the support, etc. Japan first commenced support activities for Vietnam in 1994, and has since been providing support, mainly to Asian countries, including Cambodia, Laos, Indonesia, East Timor, China, Mongolia, Nepal, and Uzbekistan, etc. At present Japan is preparing to provide support to Myanmar. 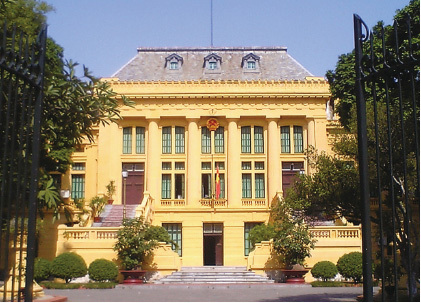 The support provided is mainly in the area of the Civil and Commercial Code, but to date Japan has provided support in formulating practical manuals for public prosecutors and held seminars/training with the aim of providing knowledge/information concerning the revision of the Code of Criminal Procedure in Vietnam. It has provided support in formulating materials for teaching the Code of Criminal Procedure in Laos. It has held seminars/training on the development of criminal justice systems and the improved implementation of those systems for members of the “Criminal Law Improvement Committee” of the Nepal government. It has also provided training to the officials of the Justice Department in East Timor with the aim of improving their ability to draw up bills using the “Act of Extradition” and the “Narcotics and Psychotropic Control Act” as subject matter.